A modified gene of Bacillus thuringiensis var. 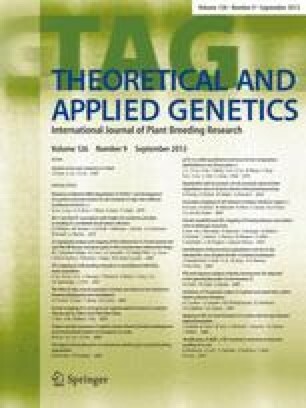 Tolworthi (Bt), encoding a coleopteran insect-specific CryIIIB toxin, was transferred via Agrobacterium tumefaciens to the female parent of the eggplant commercial F1 hybrid ‘Rimina’. One-hundred and fifty eight transgenic plants were regenerated and tested by PCR and NPTII expression assays. The presence of the CryIIIB toxin in leaf extracts was demonstrated in 57 out of 93 transgenic plants tested by DAS-ELISA assay. High Bt-expressing plants contained a 74-kDa protein cross-reacting with serum anti-CryIIIB toxin. Twenty three out of 44 S. melongena plants tested by insect bioassay showed significant insecticidial activity on neonate larvae of Colorado Potato Beetle (CPB). The Bt transgene and the toxic effect on CPB larvae were transmitted to progenies derived by selfing. Thus, transgenic Bt eggplants represent a very effective means of CPB pest control.